This Lübeck Haus Bookstore catalogue page has books and DVDs on flintknapping and working with stone, and making stone age tools and making stone weapons. Our research staff at Lübeck Haus Bookstore has selected a great list of instruction books and DVDs and VHS titles. We have selected these books and videos for the beginning stoneworker as well as for those experienced flintknappers in working with stone. These books cover mastering flintknapping, making stone-age tools and weapons, identifing stone tools and weapons, and making primitive bows and arrows. And for the amateur archaeologist there are several field guides for crafting flint arrowheads & knives. 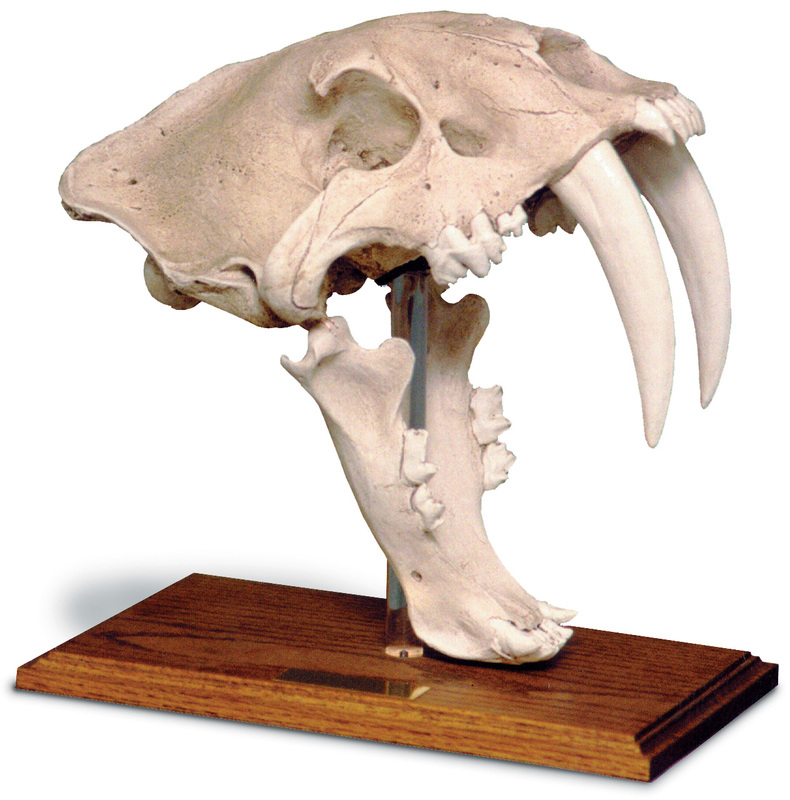 In addition, we offer full size museum quality Sabertooth Tiger Skulls and some fine masonry tools, links are below. FOR BOOK DETAILS: For individual book descriptions, prices, and availability, click on the book title. Read the book details, then to purchase, place your book in the shopping cart at the Amazon.com page and complete your purchase by following the shopping cart instructions. Or click on your browsers back button to return to this page. ORDERING BOOKS: To order any book listed on our bookstore's catalogue pages, click on the book title. Place your book in the shopping cart and complete your purchase by following instructions at the Amazon.com shopping cart page. For additional books, flintknapping kits, or any other product, please click on the Amazon.com Browser Boxes . This very popular beginner's teaching manual is an excellent book to begin with to learn flintknapping. And is a great reference books for archaeologists and anyone else that want to know more about this facinating process. This excellent book presents the author's long 40 years of experience with experimentation, demonstrations, study, and professional work with the Smithsonian Institute. This book explains the basics of flintknapping and has many illustrations that are usefull to working stone. Explains stategies and tips to replicate Clovis, Folsom, and Eden point styles of knapping. This handbook teachs the basics about the materials, methods and items produced by flintknapping. Over sixty fundamental terms are defined. This book is one of the origional books to reintroduce flintknapping to the modern flintknapper. Explains techniques, materials, and proceedures. Covers finding and selecting raw materials, tools, techniques of percussion and pressure flaking, pecking and grinding, and examples of hafting techniques for attaching stones to shafts or handles. The making of arrowheads, knives, mortar/pestle sets, hammers and a stone axe are described step-by-step. Includes a Glossary and a recommended reading list. Clearly written with many B/W picures and illustrations. This little book is packed with information. Covers everything that you knew to know to make effective arrows. While primitive methods are stressed, explainations of modern techniques are also included. Covers the complete process of arrow making, from selecting the wood and other materials, to building and finishing the arrows. Discusses the various types af types of arrow heads. Clearly written and easily followed. This 3rd Edition explains everything that is required to produce a powerful and effective hunting bow with arrows. The materials, procedures, techniques and methods are clearly explained with text, photographs, and illustrations. Includes 119 illustrations, 116 photographs, Glossary, Biblography, and 5 charts. This latest and expanded second edition provides the finest introduction to collecting the amateur archaeologist with an interest in Native American artifacts and archaeological sites. Yeager offers practical advice on where to look for artifacts, how to identify artifacts, where surface collecting is permissible, as well as useful tips on how to start and care for a personal artifact collection. This guide is superbly written and presents the perfect addition to personal libraries of amateur archaeologists that need the knowledge about interpreting and preserving some of the remains of a prehistoric culture. Highly recommended for personal, school, and community libraries with popular archaeology and Native American studies reference collections. Includes photographs and illustrations of common and rare artifacts. If you are not ready to complete your purchase at that time, your purchase can remain in the shopping cart at Amazon.com until you are ready to complete your purchase. Your purchase can be "stored" for up to eighty nine days. Browse through a selection of masonry tools by clicking on Masonry Bookss. Browse through a selection of Trow & Holden tools by clicking on Trow & Holden Tools. Browse through a selection of masonry chisels by clicking on Stone Carving Tools. Browse through a selection of woodcarving books by clicking on Woodcarving Books. Use these Browser Boxes to find more books on flintknapping, stone tools, flintknapping kits, textbooks & technical books, find any book, find magazines or any product at Amazon.com. Browse the Kings Street Market Directory for a variety of shopping stores including bookstores, other stores provide electronic equipment, computers, gardening equipment & tools, livestock, bee hives & supplies, groceries, camping supplies, camping tents, hunting & fishing equipment, stone masonry books, masonry tools & supplies, and other stores offer products for your home, job, den, and garden. Visit our main store for books, kindle books, kindle readers, audiobooks, VHS and DVD movies, music CDs, home & office electronics, electronic test equipment, computers, computer and game software, power & hand tools, hardware, stone masonry tools, gardening books & tools, clothing, magazines, video games, jewelry & watches, apparel, games, and toys.